Classifications are useful for describing existing phenomena and guiding further investigation. 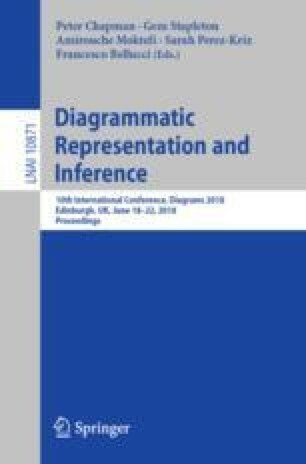 Several classifications of diagrams have been proposed, typically based on analytical rather than empirical methodologies. A notable exception is the work of Lohse and his colleagues, published in Communications of the ACM in December 1994. The classification of diagrams that Lohse proposed was derived from bottom-up grouping data collected from sixteen participants and based on 60 diagrams. Mean values on ten Likert-scales were used to predict diagram class. We follow a similar methodology to Lohse, using real-world infographics (i.e. embellished data charts) as our stimuli. 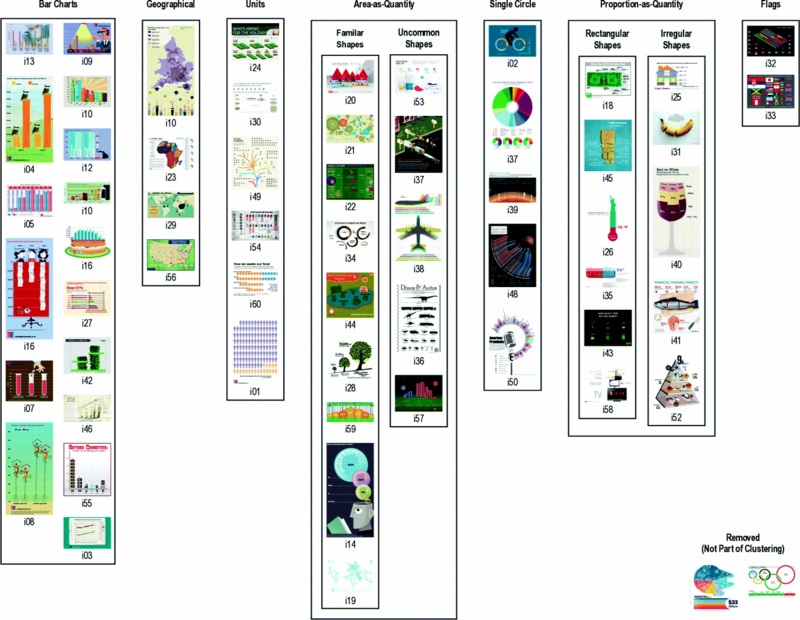 We propose a structural classification of infographics, and determine whether infographics class can be predicted from values on Likert scales. This research was conducted while the first author was visiting the University of Arizona. We are grateful to all the participants, and to Babak Saleh and Michelle Borkin who shared their image data sets. Ethical approval was given by the University of Arizona Institutional Review Board (ref: 1711982836).